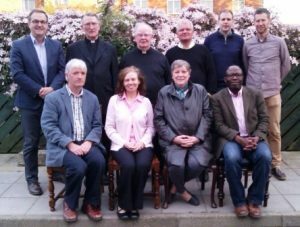 The newly established Holy Rosary Parish Council, in line with Living Church, was formed in March 2016, following an eight month process involving prayer, discernment and consensus. By meeting together, members devised a mission statement and themes to influence works and actions the council will do within the parish. All council members are parishioners in Holy Rosary. Following in the footsteps of the Good Shepherd and guided by the Holy Spirit we will develop a loving, listening and active parish community where everyone can feel welcomed and where they know that they belong and have a part to play, wherever they are on their faith journey. The parish priest has ultimate responsibility for decisions regarding the parish’s overall mission. The council with the parish priest are co-responsible for building a vital Christian community focussed on living and promoting the Gospel values of love, justice and peace.